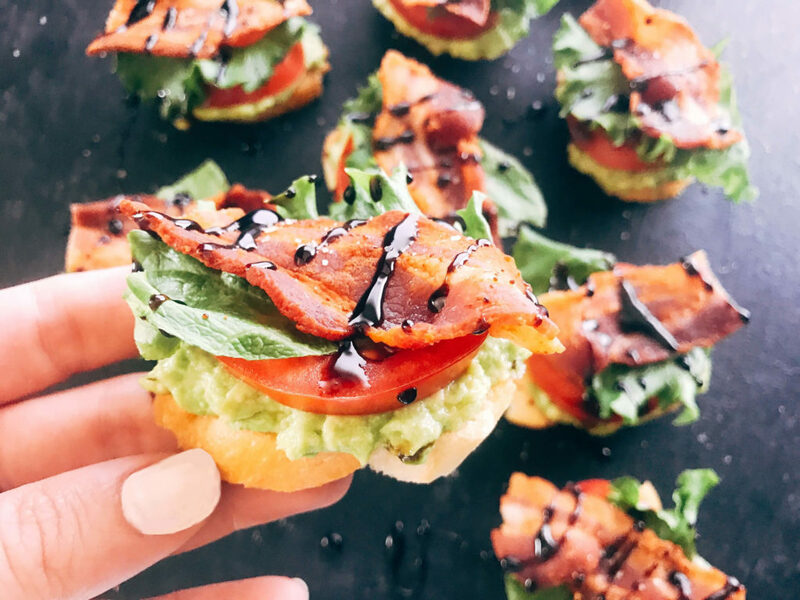 Bite sized versions of a BLT sandwich with a few twists, these Avocado BLT Crostini are a perfect party appetizer. I love the look of these crostini! The bright colors provide great contrast and they look so cute all lined up together. I am a big believer in making food look appealing, not that it needs to look extra fancy. 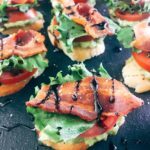 These crostini have been a huge hit at parties, even as a healthier and fresher option on game day! 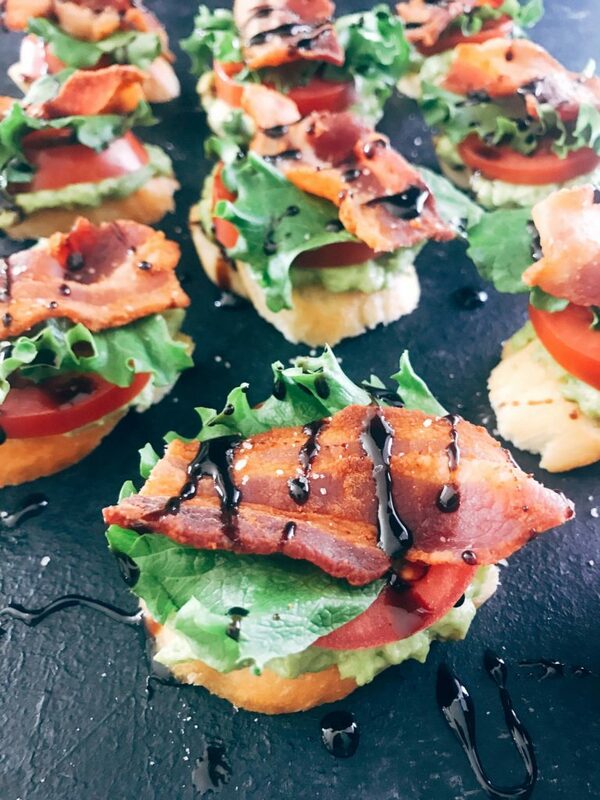 My mom is a BLT lover and the inspiration behind these crostini. Mashed avocado is the base for bacon, lettuce, and tomato. She also loves balsamic glaze which is the perfect addition of a little acidity. It is so easy and simple to make these crostini, so they are perfect for entertaining and game day, like the Super Bowl! 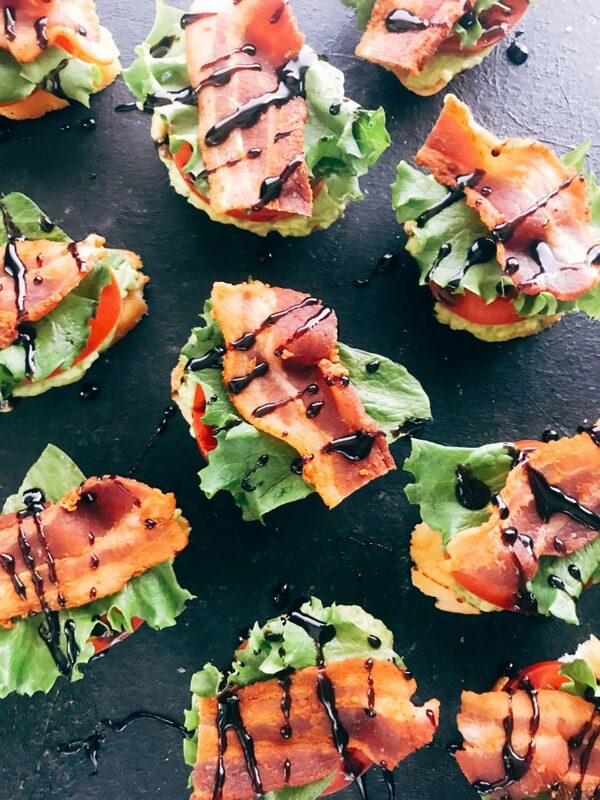 To make the crostini, mash the avocado with some salt and pepper, then layer with lettuce, tomato, and bacon. Finish it all off with balsamic glaze (one of my favorite things!) and I also like to use some seasoned Basil Balsamic Flavored Salt. Cut the baguette into approximately 1/4" slices. 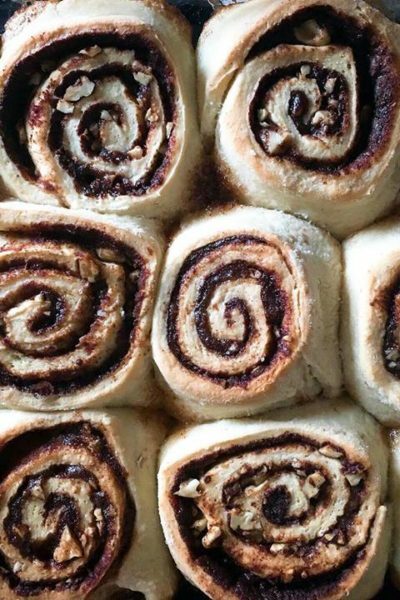 Arrange on a baking sheet. Drizzle the bread slices with olive oil. Bake the bread until just starting to turn golden, approximately 5 minutes. Remove from oven. While the bread is baking, prepare the other ingredients. Slice the tomatoes into 1/4" slices. Cook the bacon until crispy and cut each piece in half (approzimately) to fit on the bread slices. 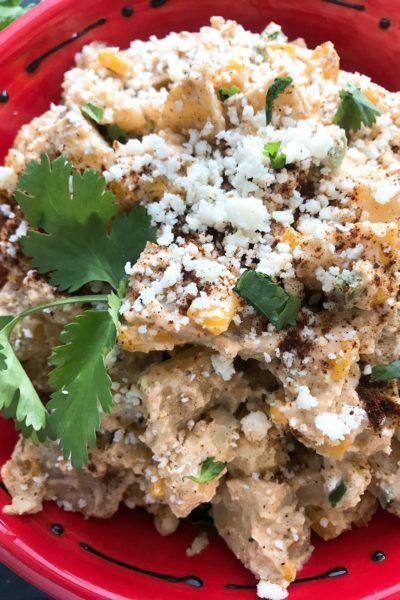 In a small bowl, mash the avocado to your preferred texture. 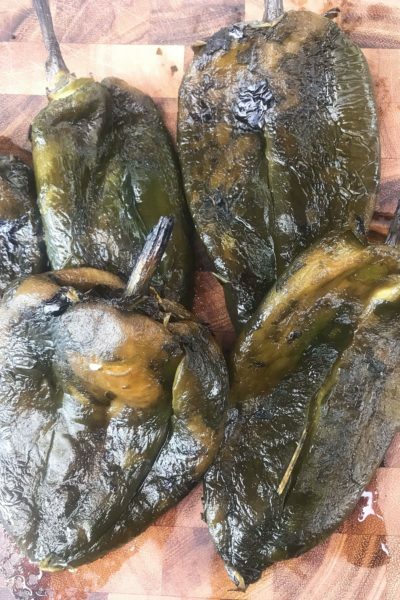 Drizzle with olive oil and add a pinch of salt and black pepper. Stir to combine. Spread the avocado mixture on each piece of toast. Layer with a slice of tomato, a piece of lettuce, and a piece of bacon. Drizzle with balsamic glaze and finish with the balsamic basil salt as desired. Serve immediately. 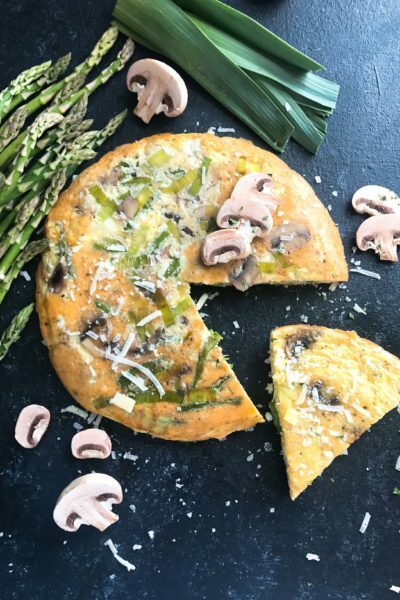 The exact amount of each ingredient that you need will vary based on how much you use on each slice and how large your bread is. 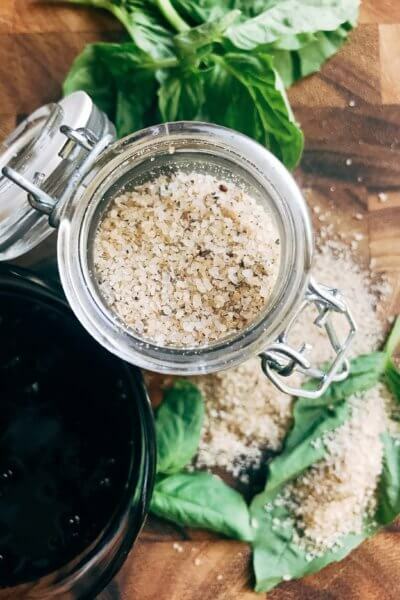 Get the recipes for balsamic glaze and Basil Balsamic Flavored Salt at these links.